One of our most persistent themes in this website is the human toll of over-diagnosed food allergies based on excessive reliance on IgE testing and skin-prick testing without confirmation by oral food challenge (OFC). “The top 3 perceived barriers to performing OFCs were time, inadequate reimbursement, and risk of an adverse event. Indeed, the survey disclosed that the duration of the procedure is most often 3 to 4 hours, with significant use of the allergist and additional office staff for preparation and supervision.” This was taken from a letter by several eminent allergists including Dr. Scott Sicherer of Mount Sinai. On the other side are patients and patient families. Dr. Sicherer wrote about this phenomenon in an original post for us in which he cited research at Sinai. Among the factors he cited were scheduling, fear of reactions, and even having become accustomed to avoiding the food, making possible addition of the food to the diet irrelevant. Now, a new study in the Annals of Allergy, Asthma, and Immunology gives all of us—patients and their families, practitioners, and INSURANCE COMPANIES—good reason to promote food challenges more aggressively. The article entitled “The Economic Effect of Delaying Oral Food Challenges” makes the case very dramatically. We know that specific IgE is not a perfect predictor of a successful food challenge, but at 2 kUA/L, it is considered 50% predictive for peanut, egg, and milk. That is, patients have a fifty-fifty chance of being able to add the food to their diet and enjoy the food, or at least let down their guard as they make their way through life. The retrospective study of patients at a “tertiary food allergy referral center” looked at patients with whose OFCs to the three allergens had been delayed for 12 to 123 months, with a mean delay of 35.5, compared with patients whose challenges took place within 12 months (mean delay of 4.2 months). The findings: overall passage rate was far higher than 50-50—89.9%–with no discernible distinction between those who passed and those who didn’t on the basis of anaphylaxis history, type of allergen, or age at food challenge. I had seen this figure of $4,000 plus before in the work of Dr. Ruchi Gupta of Northwestern but had never added it up. 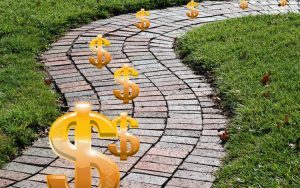 Mostly I think of it as part of the overall sacrifice food allergy families must make, but that’s a lot of money to pay for a very safe and controllable procedure. In my office we start with a little of the food on the skin, then the lips, then ingesting. Do some patients have adverse reactions? Yes, but we treat them promptly. Mostly we measure progress in terms of peace of mind for those who pass, although the habit of worry dies hard. For those who fail, at least they know the truth. Now I have to ask, is a day in the waiting room worth a 90% chance of saving $4,000 a year? 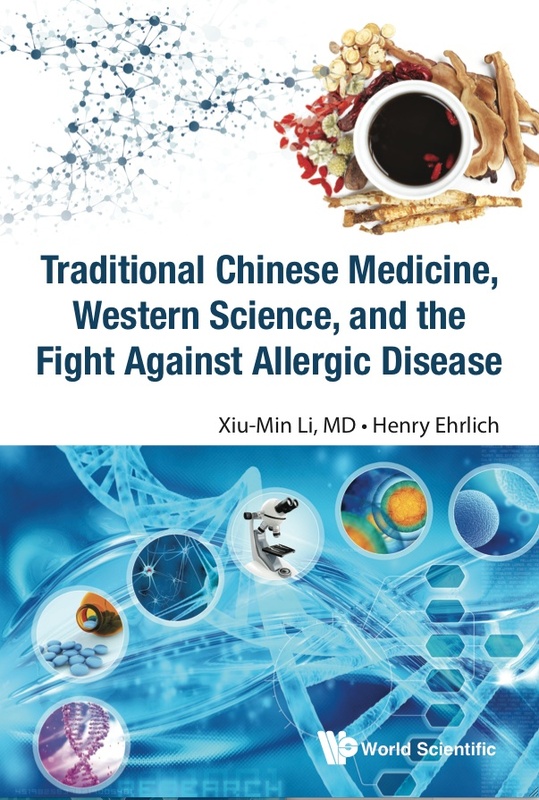 This month World Scientific Publishing brings to market a new book co-authored by Dr. Xiu-Min Li and me, entitled Traditional Chinese Medicine, Western Science, and the Fight Against Allergic Disease. 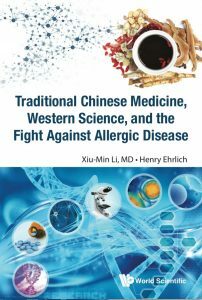 It is a companion volume to Food Allergies: Traditional Chinese Medicine, Western Science, and the Search for a Cure, which came out two years ago. The word from readers is that like “The Godfather” and “The Godfather 2,” the sequel is as good as the original. My thanks to World, and editor Joy Quek, for their interested in adding a book about Dr. Li’s work to a distinguished list that includes many Nobel laureates. They also publish a large number of scientific journals. We chose this publisher for two reasons. First, when they learned about the earlier book they were very enthusiastic about it, and were very receptive to the idea of a new one. The other is because of their global reach and access to the research library market. I hope it will lead to more interest from other scientists and collaboration for this very encouraging approach. An amazing book of hope, insight, progress and promise for those suffering from so many serious and common ailments. 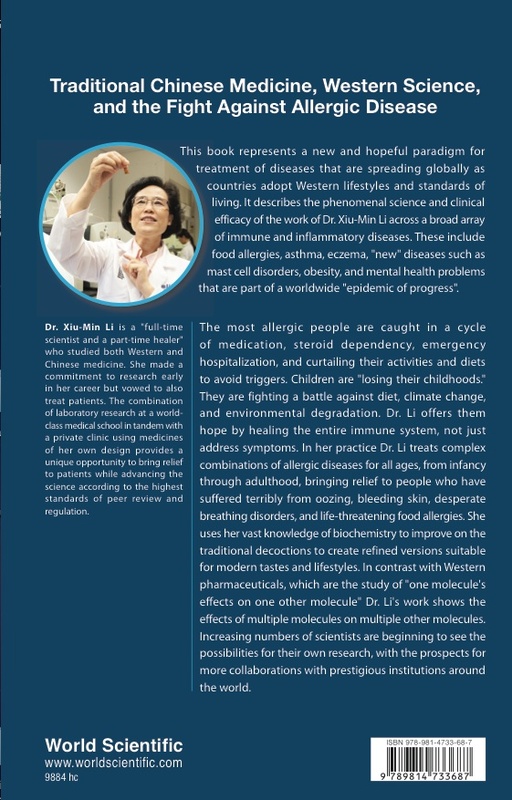 And at its core is the story of Dr. Xiu-Min Li, a visionary pioneer, an astute scientist, and a compassionate healer who is transforming medical care by bridging East and West with remarkable results. 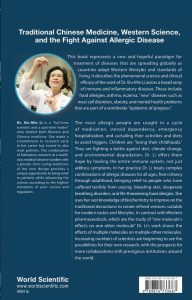 Highlights of the new book include an introduction by Dr. Li that gives the inside story of how she arrived at her unique vision of using traditional Chinese medicine to treat allergies, asthma, and other immune disorders and using clinical practice to improve the science. Those who know her work will cheer.